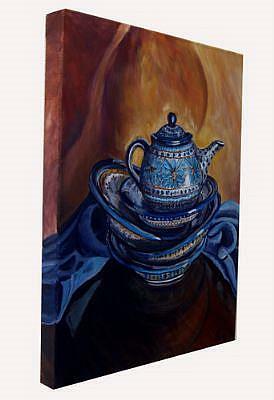 The 43rd in my Polish Pottery Still Life Series© was done for PerfectlyPolishOnline.com. I set up this still life inspired by my first Stacked painting (number 18 in the series) but changed up the patterns to make this a custom painting. 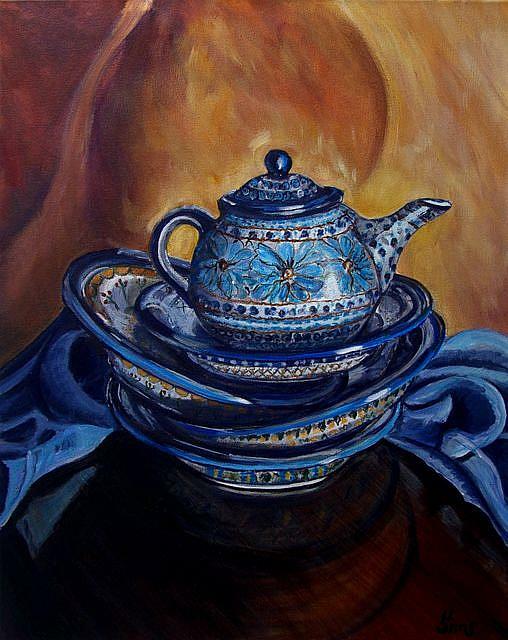 Carefully balancing the bowls and teapot made for an interesting composition. 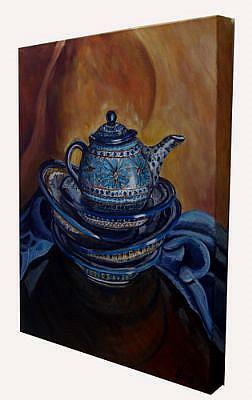 I just LOVE that pattern on the teapot.. This was definitely a JOY to paint!